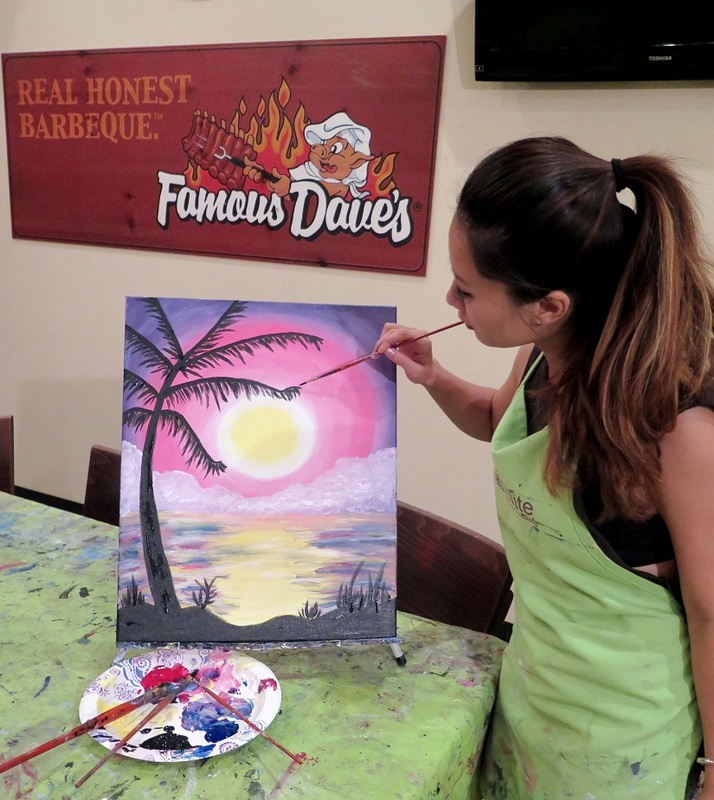 Paint Nite makes this possible by hosting paint sessions at local restaurants, guided by professional artists. 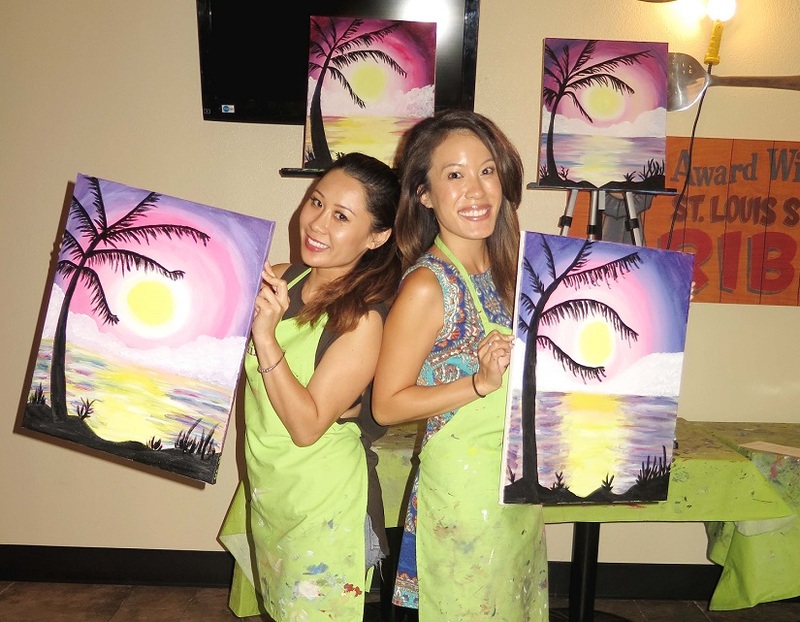 “Paint and sip” is what they like to call it and we couldn’t agree more. 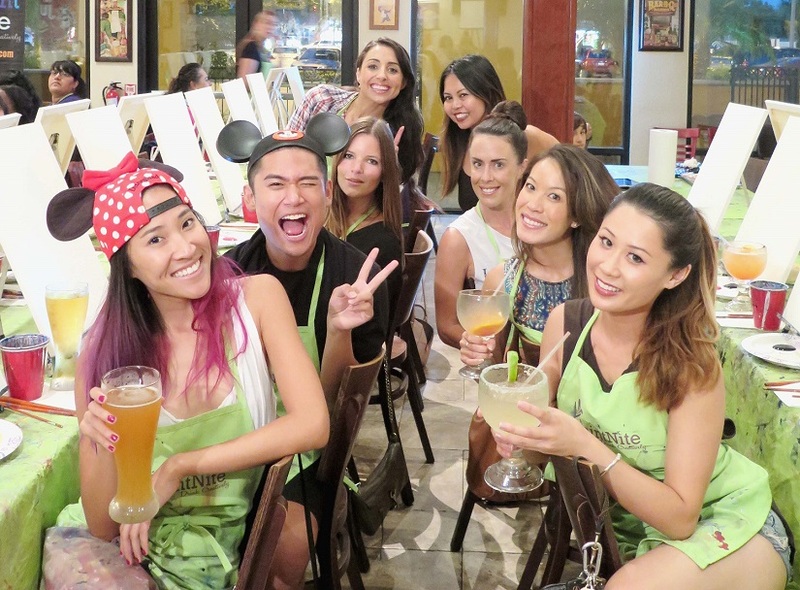 The other week Kimberly and I attended Paint Nite at Famous Dave’s BBQ in Costa Mesa and she invited a few blogger friends to join in the experience. 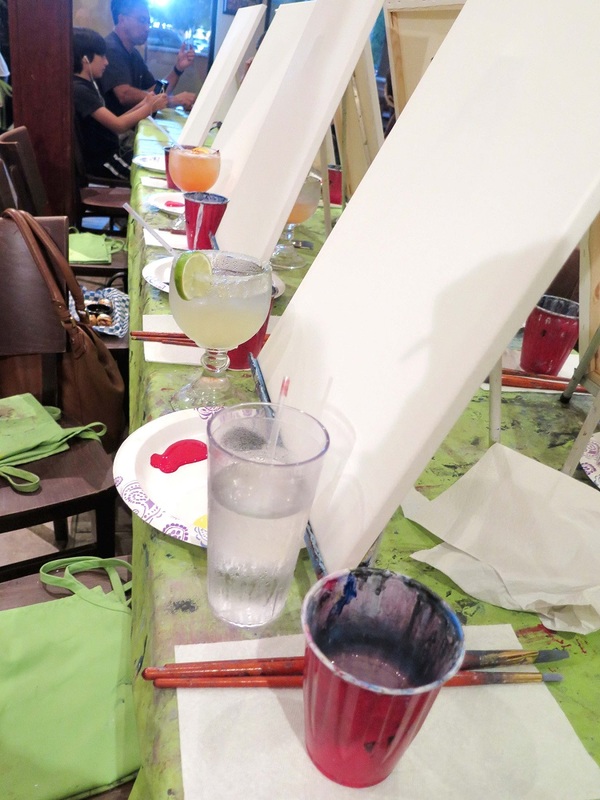 After devouring on their delicious fish tacos and taquitos for happy hour, our margaritas arrived just in time for our paint sesh. This was a perfect start to our Wednesday night! Our 2-hour paint session included the following: lots of drinking, singing, laughing, and brushing! 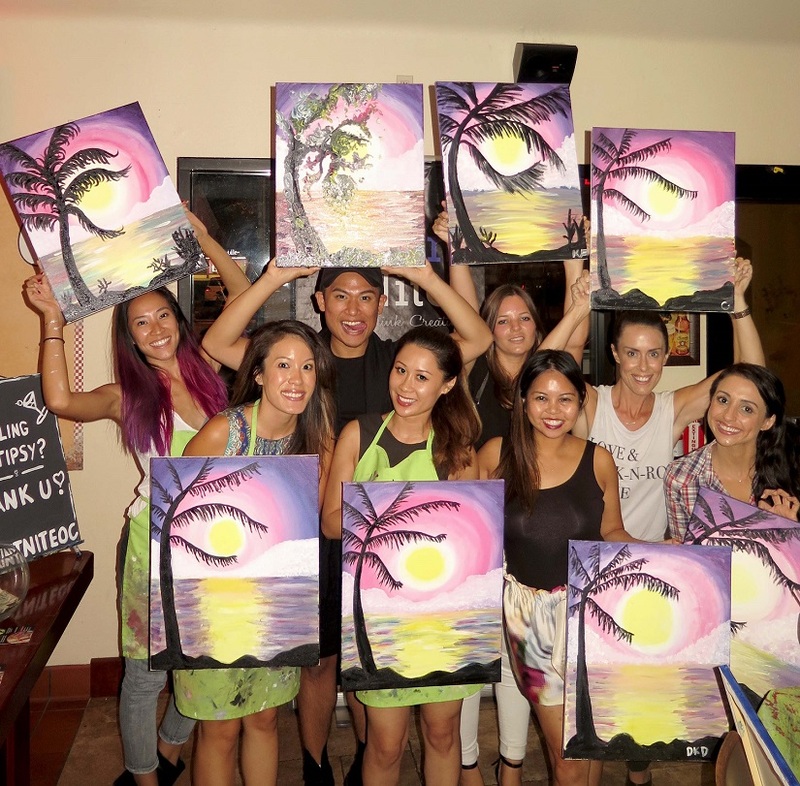 Painting a sunset can be a bit challenging especially when you don’t have any art experience but worry no more! Before booking, choose a level that best suits you (easy/moderate/advance) and their paint guide will walk you through each step along the way. In fact, you are encouraged to not take your work so seriously and just have fun with it! So grab your friends, have some drinks, and “brush” all of your worries away! We guarantee that you’ll have a fantastic time! 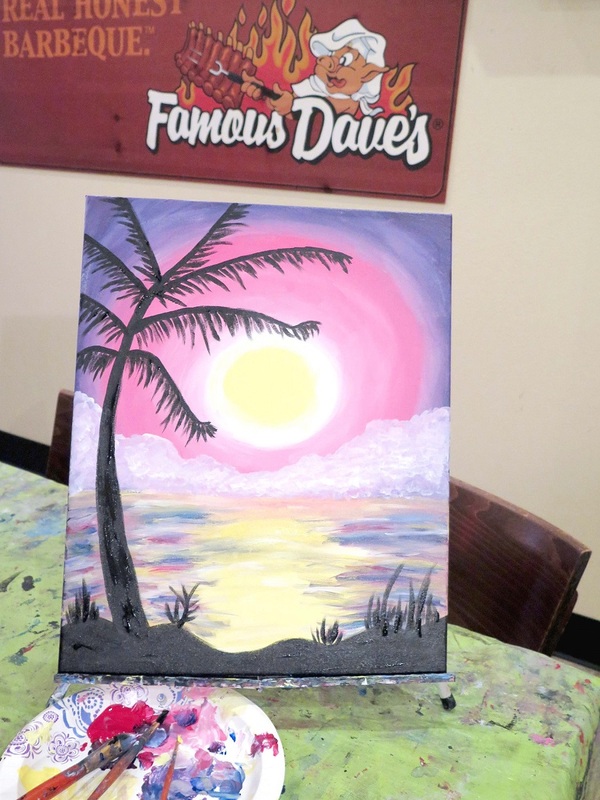 Have you tried Paint Nite before? If so, what did you make? 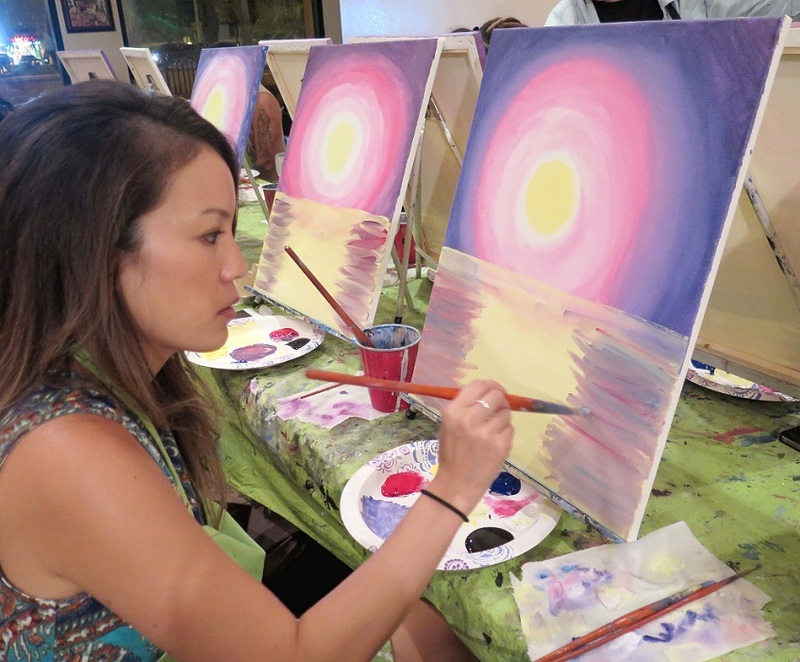 This was my first experience and I love our sunset at the beach painting! 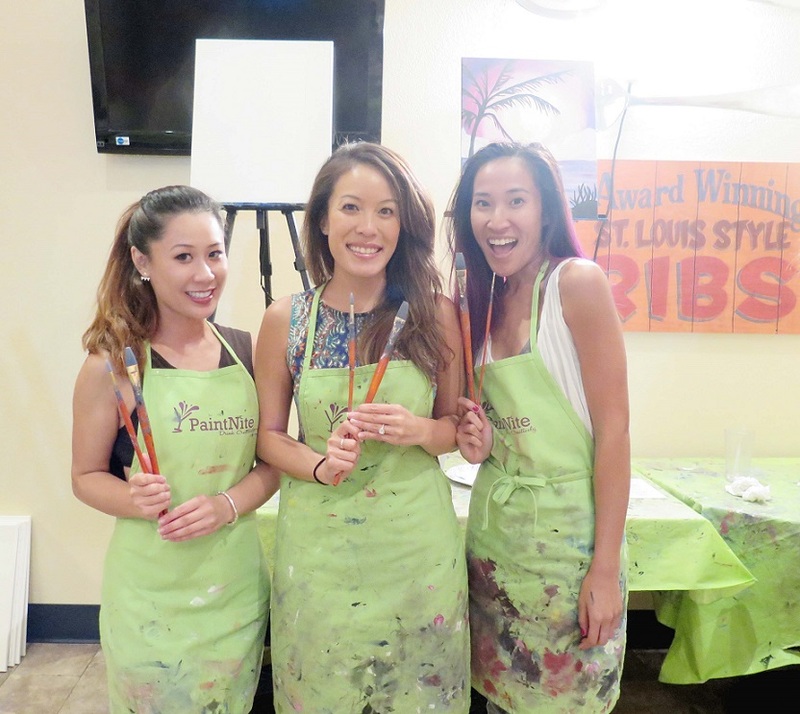 CHECK IT OUT: Find the nearest Paint Nite location HERE. P.S. Don't forget to hang your DIY painting up after!